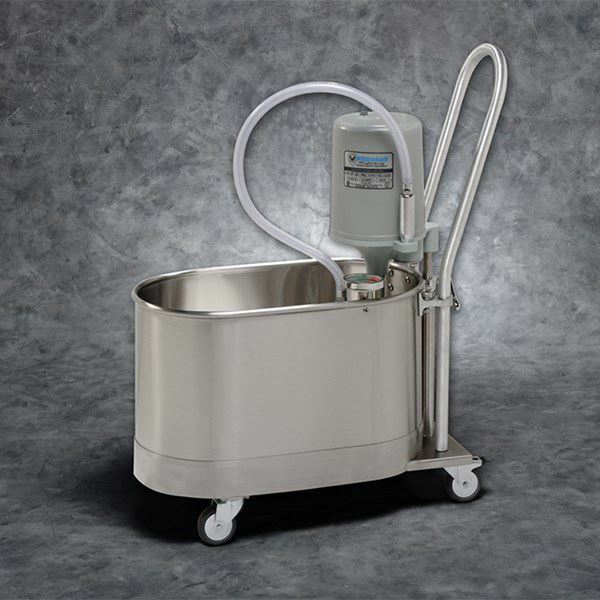 Specialized podiatry whirlpool provides the ultimate in hydrotherapy treatment for the foot and ankle areas. The powerful yet quiet 1/2 horsepower turbine motor creates a soothing, cleansing and relaxing treatment for the patient that aids in rehabilitation. For use on lower calf and foot. 10 gallons, mobile with guide handle.